Did you know that 70% of your online buyers may abandon your website during checkout? It means that there’s a lot of ability for improvement. When it comes to checkout optimization for your eCommerce website/app, you can always improve and create a seamless process. In this fast-paced digital market, customers do not prefer going through multiple steps to buy your product. If your checkout is long and tiresome, it’s likely that visitors will leave your online store without buying anything. 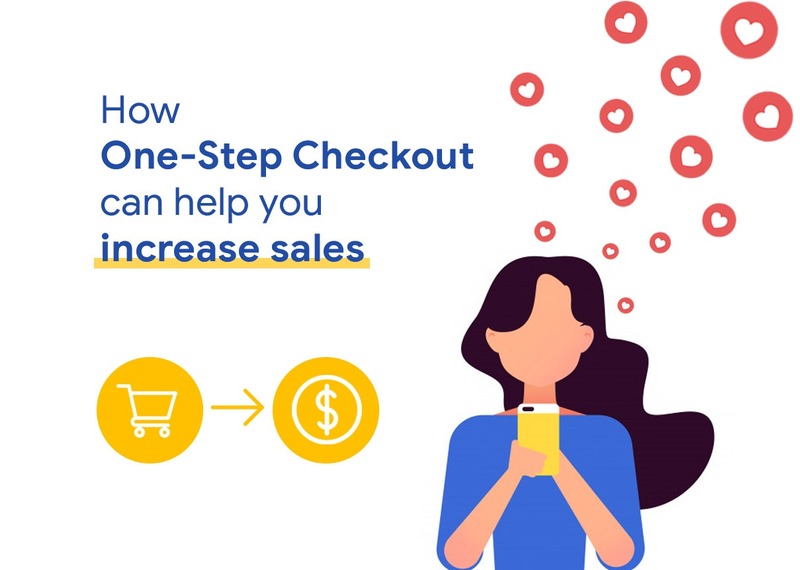 In order to increase conversion rates and boost your sales, a great solution is to offer one-step checkout on your eCommerce website/app. Today, with the range of online stores and advanced technology, anything can be sold on e-stores or social networking sites. In order to sustain in this highly competitive online market, every e-commerce website owner is attempting to make online shopping as easy as possible. This is where one-step checkout comes in. Seeing various pages to go after completing step one on the first page can be quite discouraging. 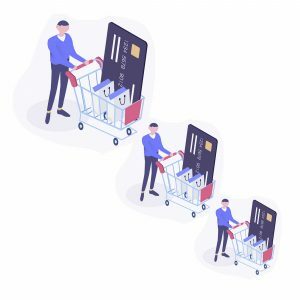 If customers find that there are multiple pages involved in the checkout process, they will feel like there’s no end in sight. Consequently, multi-page-checkout may lead to many drop-offs. Today, most customers love being able to choose the desired products and order instantly. Besides, most mobile users prefer a painless and quick checkout process. In fact, the more details you ask them, the less likely they will be to complete the checkout process. If your eCommerce website/app is failing to fully complete many transactions and you need checkout conversion, you should consider providing one-step checkout which is known as one of the most effective lead generation strategies. 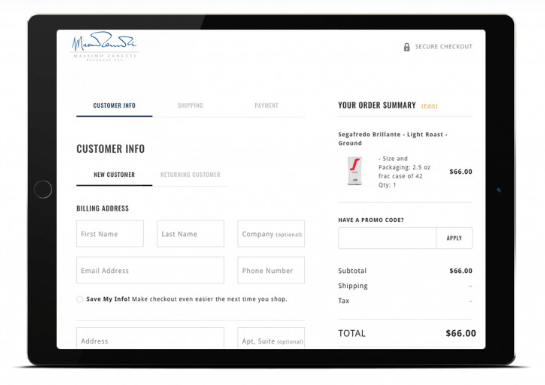 The complete checkout process appears on a single page and will make it easier for customers to complete their purchases. 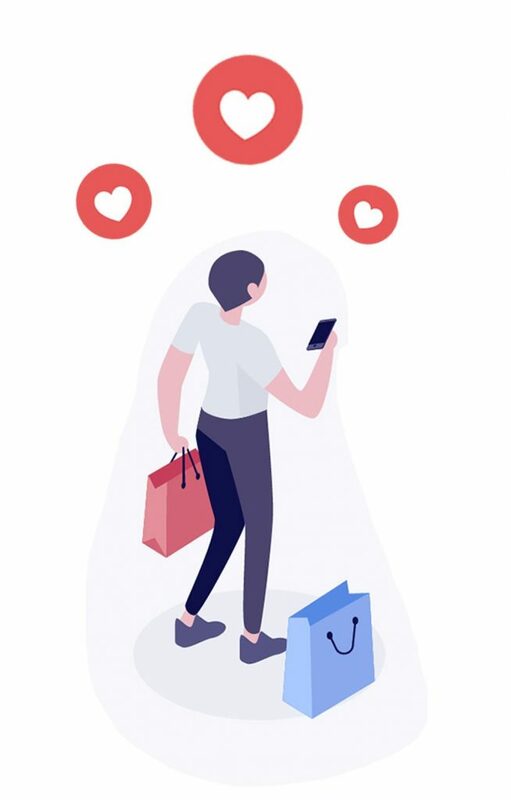 The satisfying shopping experience will also help you increase checkout conversions while encouraging customers to visit again. 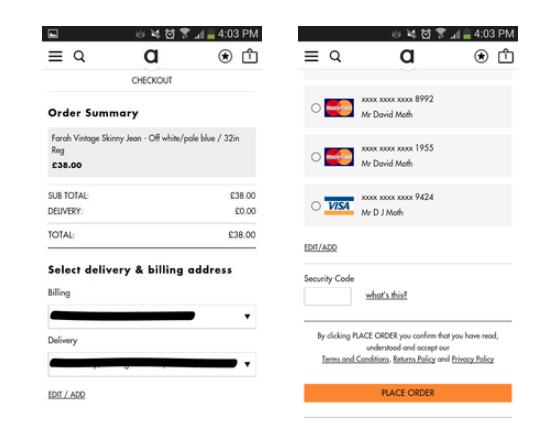 ASOS’ mobile app can actually be quite fiddly to use, however it has an excellent one-page checkout process for returning customers. It means once I’ve entered my username and password I need only type in the three-digit code on the back of my card in order to be parted with my cash, leading to innumerable impulse purchases on my part. 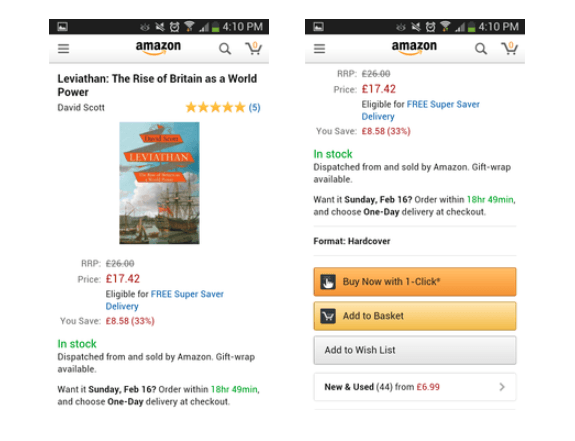 Another good example is Amazon’s one-click checkout. You don’t have to re-enter your password or card details to make a purchase. Pressing the ‘1-Click’ CTA will immediately order the item to your default delivery address. It’s great for impulse purchases, though I feel there does need to be some barrier to purchase as I accidentally bought a £120 guitar amp while researching this blog post. Luckily I was able to cancel it seconds later. 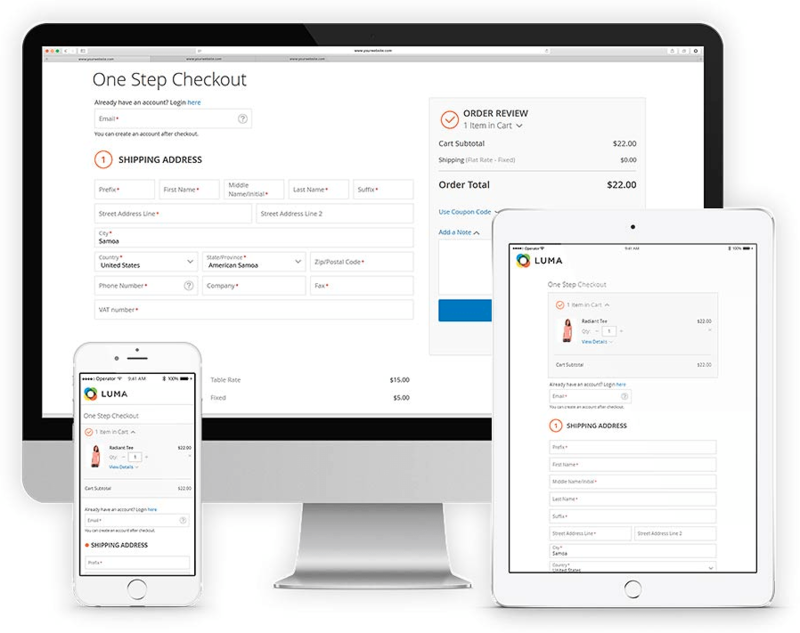 One-step checkout provides your customers with a fast and easy way to purchase online. 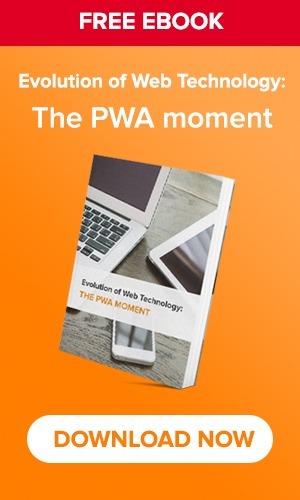 The whole point is to get the users to the checkout painlessly without having to load different pages or becoming overwhelmed by multiple steps. Whenever you visit a shopping mall and have all of your desired products in the shopping cart, you start looking for the shortest checkout line and get frustrated when you need to wait. In the same way, online customers don’t like to wait while they make the final payment; they also want the checkout process to be streamlined and fast. If it’s not, they are more likely to abandon without buying anything. Being an aspiring online retailer, you don’t want this to happen. Luckily, a quick checkout option is available with one-step checkout software which reduces the time required to fill all the personal information while purchasing online. A one-step checkout process is user-friendly. With a limited number of input fields and steps, the page remains clear and easy to go through. Moreover, quick checkout prevents confusion because online buyers see at once what information they are required to provide. As a result, they don’t have to go through multiple steps and pages which also saves time. In fact, with one-step checkout, you don’t need to worry about whether your navigation is confusing website visitors. Customers can easily navigate through the checkout process as they know what information is required, where it should be entered and when it will be submitted. Customers don’t prefer to sit and wait for multiple pages to load, a lengthy checkout process may make your customer frustrated, leading to cart abandonment. One-step checkout makes online shopping seamless since everything is listed right there. Rather than waiting for loading of pages in continuation, customers get a simple page to fill and make the payment. There is no wait time, just simply fill in the details and press submit once for all. Customer satisfaction is a vital element that you want your online store to deliver. One-step checkout process helps you provide a hassle-free experience to the customers. Everything is managed by a single page checkout to deliver an overall amazing UX. If you want to increase conversion rates of your online store, you must choose the one-page checkout process. You can easily add a quick checkout option to your existing online store based on the platform you are using. Yes, all you need to do is to update your eCommerce website with an extension or plugins available to deliver the fast shopping experience. If your website/app is running on Magento, you can easily provide your customer with the one-step checkout process by simply installing an extension. There are many providers that offer amazing extensions to implement the One-Step Checkout feature on your Magento eCommerce website/app, but you can firmly trust in Aheadworks. Smart One-Step Checkout extension from Aheadworks includes the adjustable and performance optimized Magento 1,2 checkout page. This significantly speeds up the checkout process. The provided checkout page is highly configurable, adjustable to custom themes, and suitable for any device. Customers can apply gift cards, reward points, store credits, coupon codes, and edit items in their carts directly on the checkout page. The provided one-page checkout has little to no distraction elements and features. And the “‘Place Order” button always visible as a call to action. Store owners can define default values for fields, autodetect countries by customer IPs, take advantage of the automated address suggestions. The built-in reports show the process bottlenecks to be removed and the number of abandoned checkouts to be reduced. 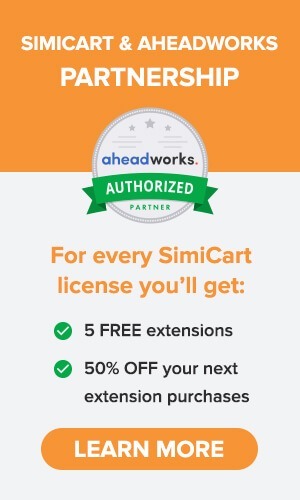 With a SimiCart license, you get the first 5 Aheadworks extension for FREE. From the purchase of your 6th extension on, we offer 50% off on all Aheadworks extensions. Whether you use Magento or any other eCommerce platform, make sure to provide a user-friendly checkout page. Online buyers want quick and easy access and prefer to avoid scrolling. So, make sure that all steps are visible by placing them side by side. 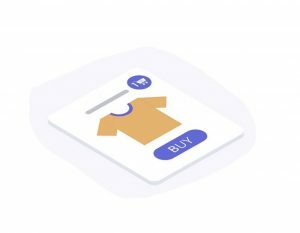 The checkout page is one of the most important sections of your online store where you have the opportunity to turn abandoned carts into successful sales. One-page checkout is a results-driven strategy which is widely preferred by many Magento store owners. You can try out different strategies in your process to assure a distraction-free checkout for your valuable customers.